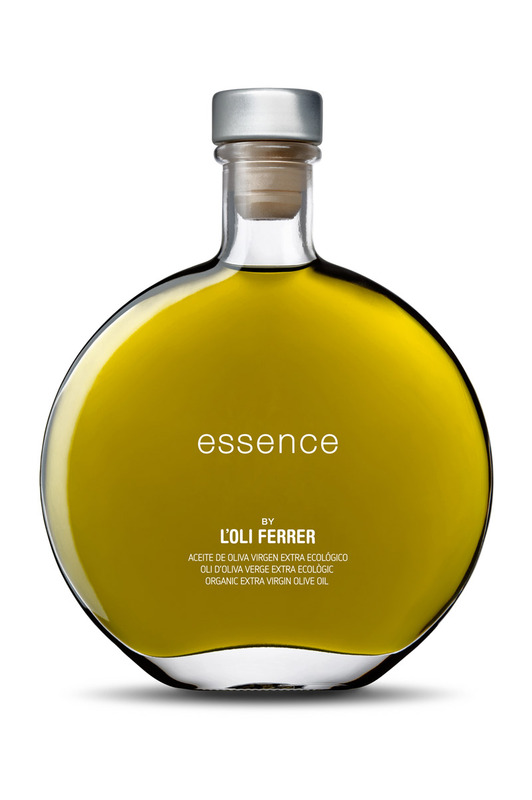 ESSENCE BY L’OLI FERRER, is an organic extra virgin olive oil, a Premium product of exceptional quality produced with double amount of olives from the best selection of organic arbequina olives collected of “early harvest” at the begining of October to extract the essence of liquid gold of the health. The intense and expressive olive oil and surprisingly fresh, takes us to the origins of our Mediterranean terroir, an intensive and persistent taste with strong character, balanced and complex. It is an organic extra virgin Arbequina olive oil, selected 100% Arbequina organic olives, obtained from first cold pressed olives by mechanical procedures which do not modify its natural composition without using chemical fertilizers or pesticides, obtaining our best olive oil, with a high content in natural antioxidants and polyphenols that maintain the properties of olive oil and it provides for its properties an enormous benefit for the healthy. All of our organic olive oil products meet the limits set by CCPAE (Consell Català de producció ecològica). 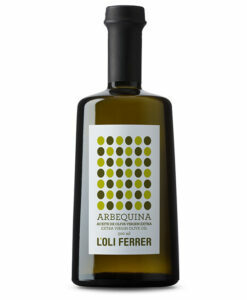 It has intense green colour with touches of gold as a result of the extraction of double olives. 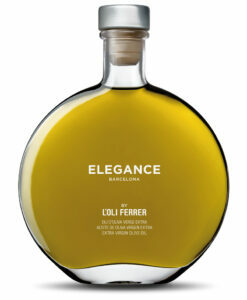 It has a persistent taste and great aromatic quality, that leaves a fruity bouquet in the nose and mouth. The intense aroma of green olive oil reminiscences of tomato, almond, avocado and spices such as coriander, leaving a pleasant taste in the mouth that is slightly chilly, a great balance between sweet and bitter. Our extra virgin ecological olive oil, as fundamental food of the Mediterranean diet, is used both for the preparation of different dishes and also to accompany ready dishes,in modern and traditional cuisine alike. It is a perfect ingredient to balance and texture of dishes such as fish, pasta, vegetables, salads, carpaccio, cheese, cold soups, bread, rice, and dessert.